When the Federal government needed advice on the terms of a $2 billion loan to the NSW government for its Westconnex tollways, it outsourced the advice to the private sector. With the increasing privatisation of public service, there was nothing unusual about that. What was surprising is that the companies they chose were already heavily involved in working on Westconnex for the NSW government. On May 20 last year, the top corporate law firm Allens Linklater celebrated a night of success at the Australian Law Awards at Sydney's star casino. One of its awards was for the Property, Infrastructure and Projects Deal of the Year. The deal was for Stage 2 of Australia's biggest infrastructure project, the NSW government's Westconnex system of tollways. 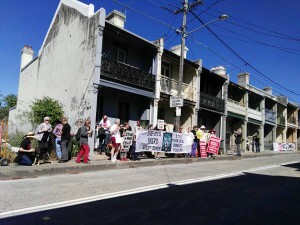 Westconnex Stage 2 is a tunnel between Sydney's South West and a massive interchange at St Peters in Inner Sydney, which since the beginning of 2017 has been the scene of police violence against protestors and devastation as contractors sweep away the homes of hundreds of people, a great many trees and a massive warehouse of state significant heritage. Allens announced their Deal of the Year award in a media release. The firm’s role had been to advise the Federal Department of Infrastructure and Regional Development on a $2 billion concessional loan to NSW government for Westconnex Stage 2. Allens promoted the deal as a "new model for Public-Private Partnerships (PPP) in Australia", the first of its kind for a major road project. The aim was to "support private sector debt co-funding and provide a platform for future private sector equity investment." In other words, two billion dollars of public funds are being used to entice private lenders into funding Westconnex construction so that eventually other private companies, such as tollway operator Transurban, could be given the right to collect tolls that would pay back the loan over decades. As I have previously reported in New Matilda, the public loan was necessary because investors and lenders had become wary after being badly bitten in previous failed private tollway projects. But the deal that won over the judges for the award failed to impress the National Audit Office (NAO) which recently reported on $3.5 billion worth of Federal grant and loan funding for Westconnex. Federal Auditor-General Grant Hehir found that since 2013 both Federal Labor and Liberal government Ministers had promised billions to funds for Westconnex without receiving adequate advice. In the case of the concessional loan, his report found that Federal department's advice to the Minister did not adequately identify or quantify costs and risks and that "the interest rate on the loan was set well below comparable market rates with no margin included to cover the Australian Government’s loan administration costs or risks." Placing bank lenders ahead of the Commonwealth for repayment was not such a great deal either. These points are not hard ones to grasp. One would expect that senior public servants in DIRD, who collectively have hundreds of years’ financial experience in the public sector between them, could have provided advice. But instead of exercising judgement themselves, the Department decided to spend $3.5 million on consultants. The basic details of these contracts were included in the report but have so failed to attract the notice of journalists. As the audit report explains, the legal advisors (Allens) were brought into the picture very late. Indeed by the time $668,000 of its legal advisory services were procured, the fundamental terms of the loan "had already been negotiated and agreed with the NSW Government." The report found that if legal advice had been obtained earlier, the Australian government might have been in a 'stronger starting position", a point that the Department itself later acknowledged. In fact, NAO analysts found a note from the Department's legal advisors that it was apparent that "it was the WestConnex Delivery Agency’s intent that the loan was to be a concessional loan affording minimal rights to the Australian Government." Allens would have been well aware of issues relevant to the funding of Westconnex. They were one of a select group of companies chosen by the NSW government to help develop a business case for the tollroads in late 2012. That contract was to provide "strategic legal advice for the WestConnex business case". In December 2014, Grant Hehir in his earlier role as NSW Auditor General had found that business case to be "deficient' and failing to meet basic standards. Between May 2014 and July 2015. Allens was also paid more than $3 million by the Westconnex Delivery Authority for its work advising on contracts to build the first stages of Westconnex. In announcing the Stage 1 $2.7 million contract that was awarded to a consortium including Leightons and Samsung, Allens senior partner Leighton O'Brien enthusiastically endorsed the Westconnex project in the legal press. Were the Department staff responsible for selecting Allens to advise on the Westconnex concessional loan aware that Allens has also been involved in advising the NSW government and WDA (now SMC) in relation to Westconnex since 2012? I sent these further questions to the DIRD media department. 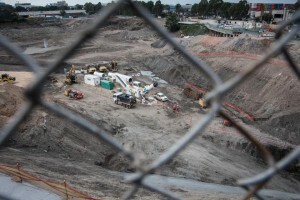 Is the Department aware that a major contractor for Westconnex, Leightons has been under investigation at a domestic and international level for bribery since 2013? If so, is the Department aware that these investigations are not yet complete? If so, are the investigations of any relevance or interest to the Department from the point of view of its funding of Westconnex ? has the Department taken any action to review the progress or outcome of the investigations? When did the Department become aware of this matter? Despite follow up calls, the Department has provided no answers to these questions. The loan was intended to speed up the completion of the massive St Peters Interchange by two years. Nearly two and a half two years, the project is just a few months advanced from where it would have been anyway. To assess the financial risk of the proposed loan, the Federal Department's choice for adviser was AECOM. If you were looking for independent advice on Westconnex it's hard to think of a less appropriate company. As I have documented in New Matilda previously, AECOM is deeply involved in Westconnex. Like Allens, AECOM was also brought in on the ground floor by the NSW government in late 2012 to advise on the viability of Westconnex. It was chosen despite publicly available evidence that it had provided false and misleading traffic projections for other tollways. These allegations later led to the company paying out nearly half a billion dollars to settle negligence class actions for its work on the failed Clem 7 project in Brisbane. There are also other allegations including a New York Supreme Court judgement that AECOM had been party to an undisclosed scheme of “success fees” from Macquarie to boost up traffic forecasts on its US tollways. And as The Guardian recently reported, an audit by the office of the Special Inspector-General for Iraq reconstruction found numerous financial irregularities in a large AECOM contract that made it difficult to reconcile costs with expenditure. 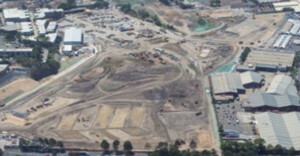 Nevertheless AECOM was the Westconnex Delivery Authority’s choice for million dollar contracts to manage large sections of the Environmental Impact Statements for Stages 1 and 2 as well as other design and construction aspects of Westconnex. Despite all these facts being a matter of public record, DIRD chose to pay AECOM $55,000 to provide financial risk assurance for the $2 billion loan. AECOM may well be further benefitting from the Federal funding of Westconnex because it has been conducting test drilling along the proposed route of Stage 3 of Westconnex, a tunnel between St Peters and Haberfield. Indeed, it was an AECOM engineer that was responsible for ordering a cage to be built around this reporter and will be giving evidence against her in May when she appears in court on a charge of trespass at one its drill sites. The significance of the National Audit Office's (NAO) report goes beyond problems with the concessional loan. Its findings highlight the problems with secret advice to government being sourced from private interests that are deeply implicated in privatisation agendas. The outsourcing of advice also means that media questions are simply declined on the basis that the advice is confidential. When it was first announced, the Federal government claimed that the loan would bring forward Westconnex Stage 2 by two years. This turned out to be false with the project now less than 6 months ahead of where it would have been otherwise. No one appears to know on what evidence the two years prediction was based. The subordinate position of Federal public servants was highlighted by the audit finding that milestones for transfers of funds were "designed and administered in a way that did not adequately protect the Australian Government’s financial interests. This was because, in order not to delay payments, milestones were agreed to after the respective event had already occurred or amended shortly before the payment was due to be made where NSW had not met the milestone." At every level the independence and accountability of Westconnex is compromised. The audit report describes how Federal public servants struggle to get information on expenditure, because requests need to go to the NSW Roads and Maintenance Services which passes them onto the private Sydney Motorway Corporation (SMC) which replaced the public Westconnex Delivery Authority and dispenses Westconnex funds to the two big Stage One and two consortia, both dominated by CIMIC (Leightons). CIMIC is in turn responsible for confidential contracts with a huge array of sub-contractors. Westconnex is a massive feeding frenzy for corporate sharks. Hundreds of demolition, tracking, traffic, engineering and PR companies are in it for their cut of the taxpayers’ dollar, but recently when I asked SMC to identify a particular demolition contractor, we were told such information is confidential. There have been deeply embedded conflicts of interest in Westconnex since the NSW government first asked a chosen group of construction, legal and management companies for suggestions on how to spend billions of taxpayers’ dollars on Sydney’s transport system. Two independent audit reports have both argued that the public interest has been shortchanged from the start, despite or perhaps because of the colossal and expanding scale of the project. 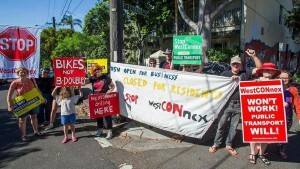 There is no reason to think that Stage 3 or other future stages of Westconnex – currently under development in secret negotiations between government and the same corporations – will be any different. There needs to be a fundamental rethink of how and why taxpayers’ money is handed over to unaccountable companies, including ones with a record of malpractice. Contracts for billions of dollars have been handed to these companies on terms that are hidden from the public. The contracts were signed before any before EIS was lodged, reducing independent planning assessment to a farce. Serious warnings from experts about flawed traffic assessment were pushed aside. Avenues of legal appeal were deliberately removed. All of this so that large parts of Sydney’s arterial road system can be handed over to toll road companies such as Transurban, who sold the business model to the NSW LNP government in the first place. Their eye is on the profits that will ultimately flow from those who pay the tolls. Through those tolls, the public - we mugs - will continue to pick up the tab for the escalating costs of construction and the health and social costs of traffic congestion. Meanwhile, the congestion deliberately designed into the arterial road system will then have sparked calls for yet more tollways. So while the motoring public is left paying the tolls, the corporate lawyers, PR companies, construction companies, engineering and other consultants will have moved onto the next big taxpayer funded contract. Gladys Berejiklian should be stopped in her tracks. Now with by-elections in the state seats of North Sydney and Manly underway, the new NSW Premier Gladys Berejiklian has promised voters on the North Shore that she is absolutely committed to delivering more tollways from Rozelle under the Harbour and across the North Shore. As we know, this would involved unfiltered stacks, traffic concentrated around portals, massive constructions sites on open space, loss of property, destruction of trees and decades of tolls. This is a vote grabbing exercise that seeks to avoid any consideration of whether more tollways across Sydney is a better use of infrastructure funds than efficient public transport. But while transport is crucial, it is not the only issue that is at stake. A total overhaul of the legal and corporate governance of transport planning is desperately needed before any more pubic dollars are committed on the basis of inadequate and self-interested advice. Gladys Berejiklian should be stopped in her tracks. *Note: As is clear from this article, I am both a journalist reporting on Westconnex as well as a campaigner against it. 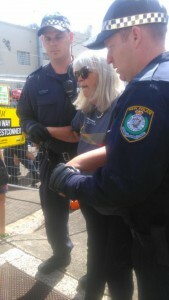 September 2016 : Police using a wrist lock on me as they arrest me during a protest against an AECOM drill for Westconnex Stage 3 that would tunnel under thousands of old homes in Newtown.